The Pioneer DJ XDJ-RX2 is a solid all-in-one system for those with club, festival, and touring DJ aspirations. It’s as close as possible to a compact CDJ / DJM set-up, so that also means it’s a good choice for pro DJs who want a “close-to-club” set-up without forking over an arm and a leg for a pair of CDJs and a DJM mixer. The improvements on its predecessor aren’t major, though, so those who already have the original XDJ-RX may not find it compelling enough to trade up. The XDJ-RX2 is made of an all-plastic enclosure similar to what you’d find on a CDJ-2000NXS2. It’s quite heavy, and the first thing that you notice is that it looks very much like a combination of several Pioneer DJ products: the DJM-450‘s mixer and effects section, the CDJ-2000NXS2 media player’s screen, and the jogwheels and pad layout of the DDJ-RX controller. At the face of the unit you’ll find a two-channel mixer with three-band EQ control and Sound Color FX knobs, four Sound Color FX buttons and a Parameter knob, eight Beat FX, two jogwheels, loop controls, two USB ports (more on them later), two-channel mic section with volume and EQ controls, a 7″ touchscreen, new browse knob and menu button placements, and eight brand new rubber RGB-backlit performance pads per deck. Round the back are two pairs of RCA phono / line inputs, two TRS combo mic inputs, an aux input, a pair of XLR and RCA master outputs, 1/4″ booth outputs, and an IEC / three-prong power socket. I plugged the XDJ-RX2 to my speakers, slotted in a thumb drive, and got to work. The jogwheels on the XDJ-RX2 are the same size as the original. They’re as slick and responsive as any Pioneer DJ controller out there – that’s because these are “touch capacitive”, which means you don’t have to press down on the jogs in order to “stop” a track or scratch. That’s in stark contrast to the mechanical jogwheels that appear on standard CDJs and XDJs, which you have to press in order to get the track playing to stop or if you want to scratch. It’s not a big jump in terms of feel. What may take some getting used to is how “loose” the jogwheels themselves are: on more expensive CDJs (eg the CDJ-2000NXS2) and the DDJ-RZ there are knobs that let you adjust the jogs depending on how tight you want them. I’ve got used to having them in the tightest setting, so going from tight jogs to the relatively loose jogs on the XDJ-RX2 took me a few minutes to get used to, which led to some overcorrections when it came to speeding up / slowing down a track using the jogwheels. Not a dealbreaker, but one to bear in mind if you prefer tight jogwheels. Other than that, the jogs performed as they should, and are highly responsive. One of the big new features on the XDJ-RX2 are the brand new performance pads: gone are the four chiclet-esque blue pads per deck (a product of last-gen Pioneer DJ controllers in the style of the DDJ-SR). In place are eight square, rubber performance pads that have LED backlights. They have a more muted look to them – the lights only appear along each pad’s edge – and they look classy. They have a nice “fight” to them when you press down, and a quick cue juggle feels satisfying – these have got to be some of Pioneer DJ’s best pads, at least as far as pad feel goes. 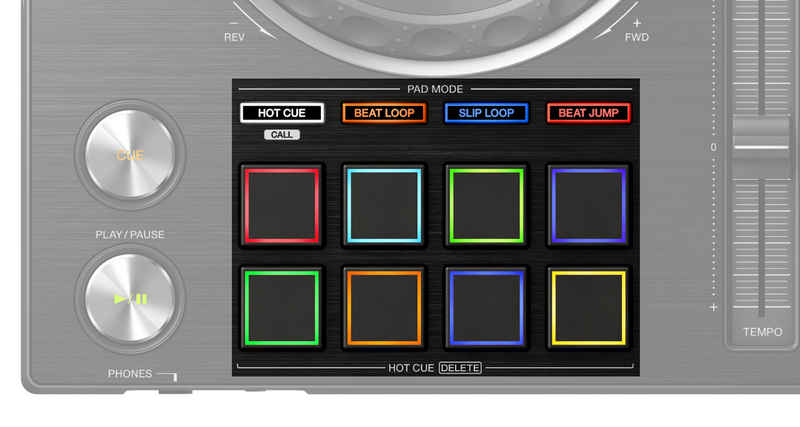 The performance pads have a revamped pad function button set as well – you’ve now got Hot Cue, Beat Loop, Slip Loop, and Beat Jump. Hot Cue lets you trigger cue points (which you can now colour-code), Beat Loop lets you place auto loop points of varying sizes, Slip Loop allows you to place an auto loop while the track continues to play and picks up when you remove the loop, and Beat Jump lets you move forwards or backwards in a track in different note values. The Shift button, formerly sitting in the pad function row (a poor design choice), has now been moved to a spot above the transport controls, which is a better and more logical decision, and also the reason why it’s got more performance pad functions now. The XDJ-RX2 has a two-channel mixer with a three-way switching matrix for three inputs: laptop, line, and phono. Each channel has a three-band EQ with a trim pot, Sound Color FX knob and volume fader. The crossfader has two curves (sharp and smooth), plus a Thru mode for bypassing it. The line and phono inputs allow you to connect CDJs / line level devices and turntables to the XDJ-RX2, which then acts as a standalone mixer. It’s worth noting that despite the line / phono connectivity, the XDJ-RX2 is not Rekordbox DVS-compatible, meaning you won’t be able to spin timecode CDs or vinyl through it. 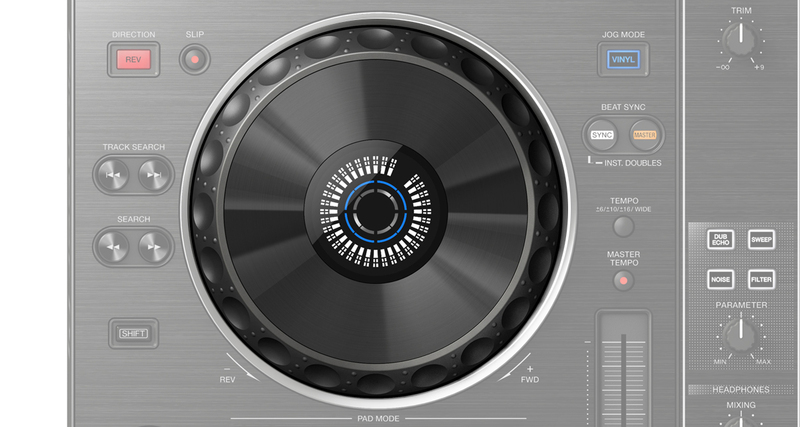 The headphone and master output cue buttons now appear in the centre of the XDJ-RX2’s mixer, which is a more logical placement compared to the original XDJ-RX where the cue buttons were on the lower left, presumably to make room for the library browse and load section, which has now been relegated to the touchscreen above the unit. The screen on the XDJ-RX2 gets a touch upgrade – that means you can now access the Qwerty keyboard found on the XDJ-1000 and CDJ-2000NXS2, and you can also use it to do a “needle search” on a track that you’ve got playing. Unfortunately, that’s the only thing that you can do with it on the XDJ-RX2 at the moment – since multitouch and touch gestures still haven’t made an appearance on Pioneer DJ gear, the touch capabilities on the XDJ-RX2 feel a bit like an afterthought, kind of like a “me too” update. To be fair, the lack of a Qwerty keyboard was one of the biggest gripes of users who own the original XDJ-RX, but it would’ve been nice if Pioneer DJ added more functionality and library browsing convenience via the touchscreen (have you seen what the Denon DJ SC5000 Prime can do?). 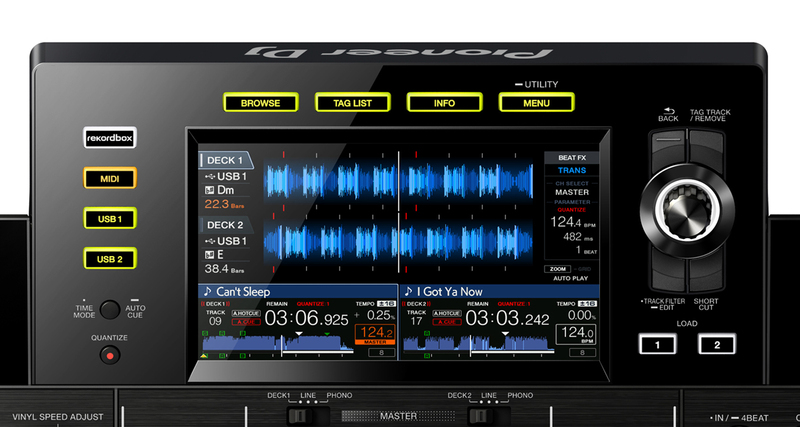 Having said that, it’s better than nothing – browsing through your collection and looking for tracks are still miles better on the XDJ-RX2 than in the original because of the touchscreen, and this alone could be enough for DJs who have large collections (eg mobile DJs) to upgrade. You also get the Track Filter button, which lets you specify criteria to help you zero in on tracks in your USB drive, and the user-assignable Shortcut button under the Browse knob, which now appear beside the touchscreen, just like what you’d find on a CDJ-2000NXS2. 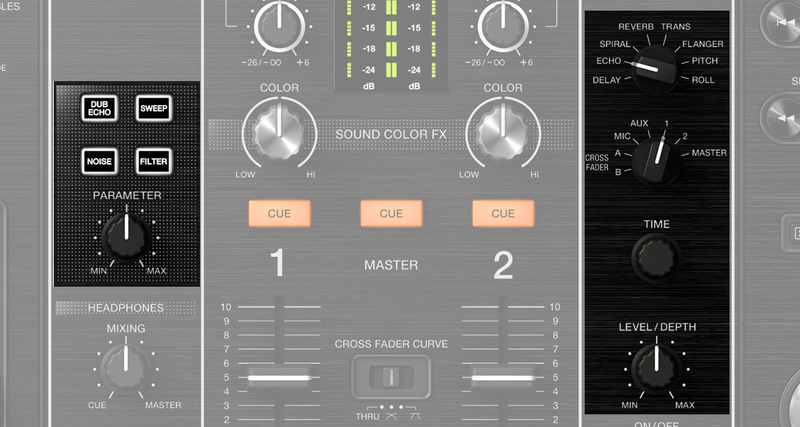 A modern DJM mixer has two kinds of effects onboard: Sound Color FX and Beat FX. Sound Color FX are switchable effects that can be manipulated using the Sound Color FX knob in each mixer channel. This is where you’d find the most commonly used DJ effects such as Filter. The XDJ-RX2 has four: Filter, Dub Echo, Noise, and Sweep, which are the same four that you’d find on the just-released DJM-450 (for reference, the DJM-900NXS2 has six Sound Color FX – Filter, Dub Echo, Noise, Sweep, Crush, and Space). Beat FX, on the other hand, are more intermediate time-based effects that can be modulated (or modified) using note values or time settings. You are able to manipulate the effect by setting a note value using the Beat knob (eg a quarter note, eighth note, 16th note) or a time in milliseconds thru the Time knob. You can also tap out the tempo using the Tap button. These effects can be great for making big, sweeping builds or sharp, specific techno drum echoes. There are eight Beat FX in all: Delay, Echo, Spiral, Reverb, Trans, Flanger, Pitch, and Roll. You are also able to select which channels are affected by the Beat FX via a switch: you can choose from effecting individual channels, the mic input, aux input, or the entire master output. The XDJ-RX2 has two USB jacks on the face of the unit: they can either read a thumb drive containing your music, or they can record a mix to it. You can also plug your iPhone or Android device running the Rekordbox app if you’d prefer to load tracks from that. 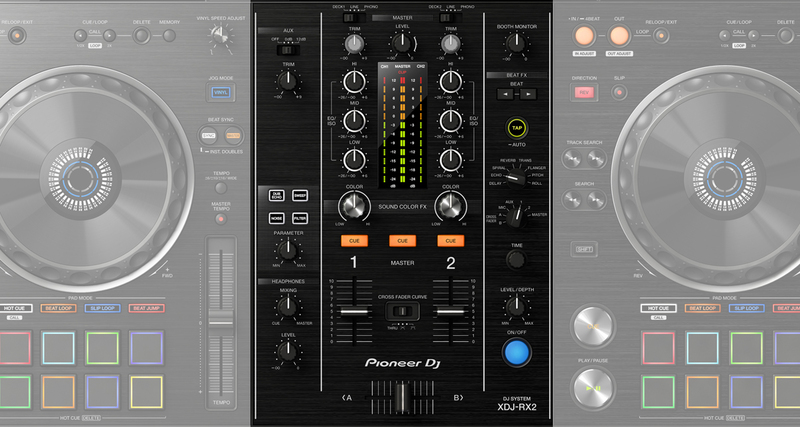 Apart from working standalone, the XDJ-RX2 is also compatible with Pioneer DJ’s Rekordbox DJ software. Just plug it into your laptop via the USB jack in the back of the XDJ-RX2, and you’re off to the races. There’s even a “Link Export” mode, which lets you connect your laptop and use it simply for browsing and loading tracks onto the XDJ-RX2, as opposed to having to export your tunes to a USB drive. This can be useful if you’d prefer not to look at a laptop screen while you’re DJing, but don’t want the hassle of having to repeatedly export tracks to a thumb drive. The XDJ-RX2 is Pioneer DJ’s most powerful all-in-one system to date. It may not be as enthralling as the original XDJ-RX was when it launched, but Pioneer DJ fine-tuned and turned that into a performance powerhouse, which is what we get with the XDJ-RX2. The touchscreen Qwerty keyboard and improved library browsing are points of interest for digital DJs who appreciate the speed and convenience of searching for tracks with a laptop’s keyboard. The same goes for the eight pads on the XDJ-RX2: for those who found the previous four pads to be quite limiting, Pioneer DJ has you covered. Who is the XDJ-RX2 for? If you’ve got club, festival, or touring DJ aspirations but don’t want to blow your college fund on a CDJ / DJM set, this is the kit to go for. 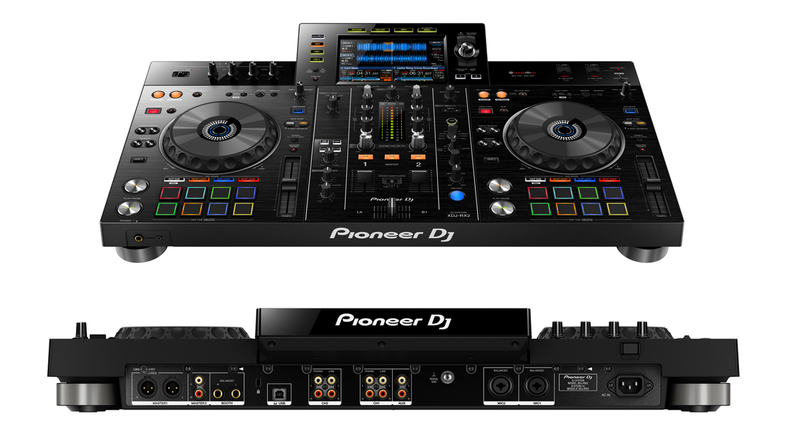 Nothing in the Pioneer DJ range comes close to it, not even a DJM-450 / XDJ-700 combo which some consider to be a rival set-up (For those wondering – the XDJ-RX2 is better-equipped and more economical. The XDJ-700 jogs just don’t cut it for me, plus you save around US$400 or so). 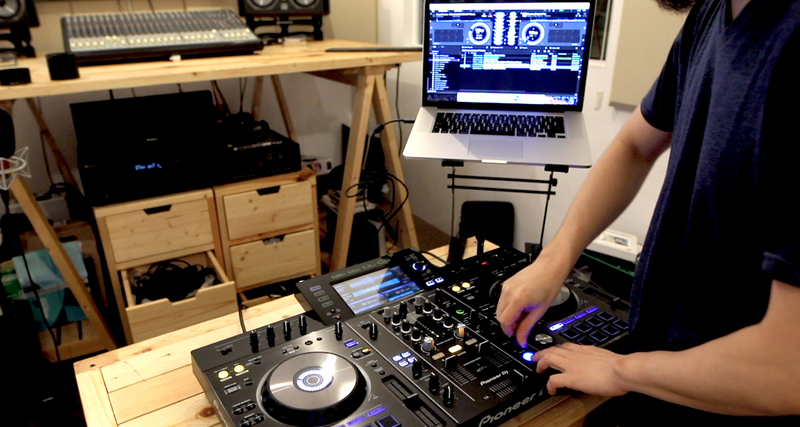 If you’re happy spinning with a laptop and a controller, you may want to pass on the XDJ-RX2. After all, the biggest draw here is that you can use it without a laptop, and that’s essentially what you’re paying for. For the price, you can get a decent mid-tier Rekordbox DJ controller like the DDJ-RX, and have a couple of hundred bucks left to spend on headphones or a pair of speaker monitors for your DJ room. If you own the original XDJ-RX, though, it gets a bit tricky – are the minor feature and cosmetic improvements enough to warrant an update? 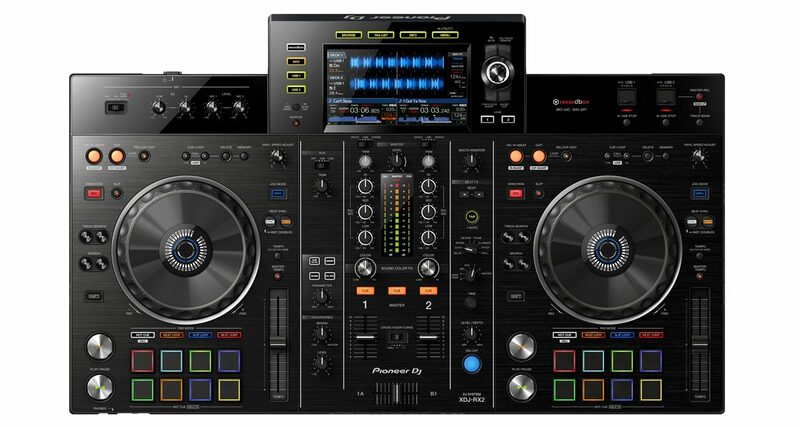 Personally, I’m not compelled to drop another grand-and-a-half for eight pads and a Qwerty keyboard, but there are some who consider these to be game changers to their DJ workflow and performance abilities, in which case the XDJ-RX2 isn’t just an enticing update, but an answered prayer. 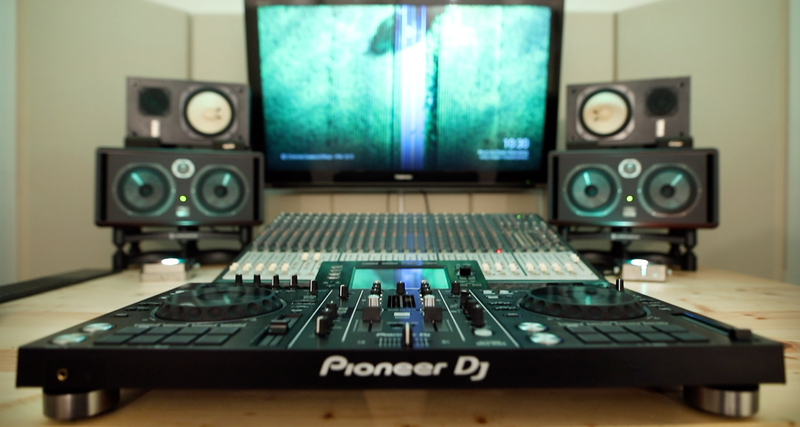 Want to be the first to get our latest DJ gear reviews and articles? 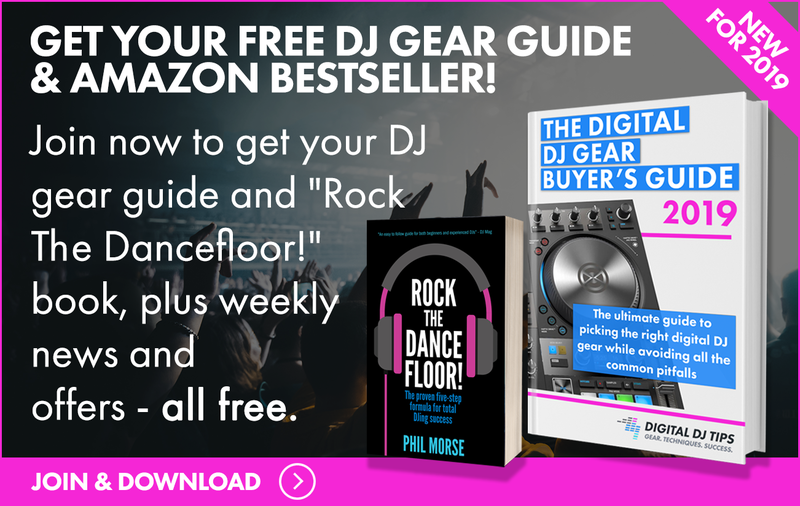 Click here to join Digital DJ Tips today You’ll get a FREE instant download of our DJ Gear & Software PDF Guide. DVS support would’ve made it an even more attractive proposition for multi-format home set-ups 🙂 Thanks for chiming in! So I’m in the market to purchase a new controller. Not really sure which one I want though. I have been looking at this one but I am also torn between a couple others. If you had to chose which controller would it be between the Rx2, sz2, or NS7 3? I’m very interested in this controller but I’m also in search of 4 channels. What can you suggest? There are no four-channel standalone controllers like this on the market right now. You’d have to go the laptop route. Is there a limit on the GB capacity of the flash drive(s) you can use with this unit ? I’m thinking of loading up a 1TB thumb drive or a couple of 500GB and using this as my daily rig for Mobile/Wedding/Event DJing. Would that work ? The original RX had a “soft limit” of 10,000; it would work with more, it was just slower. No limit on RX2. thanks for taking the time to review each piece of equipment thoroughly. 1) please confirm that the second USB port is for RECORDing purposes only and not to be used as a second readable USB stick reader. 2) I have yet to suss out, from various reviews of the product, whether the jog-wheels on the XDJ RX2 are the same size as the CDJ’s ones? Can I search tracks by using just the browser knob? Because I’m not a fan of searching by typing+loading routine. I used to pick my tracks by scrolling down. I don’t want to use QWERTY Keyboard to search. Hi, can you reverse the cross fader on this unit. not sure you can do this in the software yet… it’s a long-standing request from users. Joey thanks for the great review. I think an error crept in… you can use either USB port on the front panel to play from, allowing two DJs to tag team. One of the ports is not restricted to record only. The originial XDJ RX definitely allows loading tracks from both ports. And, page 30 of the XDJ RX2 manual pretty clearly talks about selecting which USB port you want to load a track from. What the RX3 needs is three USB A ports, so you can tag team AND record straight to a thumb drive! Just spent a chunk of my retirement fund from the when I lived in the UK on this new Pioneer rig, and it is freaking awesome! Loving it so far, looking forward to rocking many many events and parties with this gear, many thanks for your reviews, it really helped me to decide to go with this instead of some other gear. I believe this will help me to get “club ready” and play on proper gear – it’s a big step towards my goals! So again my sincere thanks Joey and Phil and the krew there! Glad you’re enjoying it Erik! I bought my Pioneer XDJ-RX2 yesterday. I like it lot because is made from good quality,nothing close to the DDJ-SX2. I HAVE AN ISSUE,CAN’T SEARCH SONGS ON it’s touchscreen qwerty keyboard,I try to press search but it’s not working.Do you have any idea ? All my song have been analized. I’ve had the unit for a few weeks now and love it. I’m converting over from Serato DVS. There are a couple of things i haven’t figured out…How do you get the illuminating play head on the jog wheels to load at the 12 o’clock position? Also, when scratching the first beat of a song the playhead tends to lag if there isn’t a silent gap before the first beat. Let me know if there is a solution for this. Thanks!